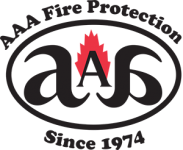 San Jose businesses who need to hire an expert fire extinguisher services company can turn to a 40 year veteran of the industry — AAA Fire Protection Services. For the past four decades, we have helped businesses of all sizes throughout the entire South Bay Area meet the complex codes of the California Code of Regulations. As an expert in fire suppression and fire protection, we offer fire extinguisher services that meet or exceed the California code of regulations. Because many times compliant issues involve having the wrong type of fire extinguisher or the wrong size of fire extinguisher on site, we offer a complete fire extinguisher sales team that helps businesses of all sizes gain compliance with the California fire code and then maintain that compliance. We are easy to work with and are always professional. We will, schedule fire extinguisher services, track future services, and always provide documentation that shows governmental agencies that your business is 100% in compliance with fire regulation. To learn more about working with our team, just give us a call at (800) 543-5556.